Punjabi Jingle Bells: A desi version of Christmas…why not? Here’s a little mystery: why do most TV stations in tropical Asia dream of white Christmases? Browse through the dozens (or hundreds) of channels that we Asians can now access on cable, and the chances are that many are displaying gently descending snow flakes, decorated evergreen coniferous trees, Santa Claus and other well known images of Christmas. Nothing wrong with that – except that snowy Christmases aren’t very common close to the Equator — unless you climb to very high elevations. And for our friends in the southern hemisphere, this time of the year is actually summer! But hey, why let any of these facts get in the way of a nice fantasy? Speaking of unusual or indigenous Christmases, I just came across this very funny version of ‘Jingle Bells‘ by A R Rachman, who won two Academy Awards for Best Original Music Score and Best Original Song at the 2009 Oscars for Slumdog Millionaire. “Jingle Bells” is one of the best known and commonly sung winter songs in the world. It was written by James Lord Pierpont (1822–1893) and copyrighted under the title “One Horse Open Sleigh” on September 16, 1857. Despite being inextricably connected to Christmas, it is not specifically a Christmas song. Contrary to a popular belief, journalists don’t enjoy being able to say ‘I told you so!’. They much rather prefer if their investigative or analytical work in the public interest are heeded in time. She had no idea how forcefully her point will be driven home before that year ended. “Little did anyone realise the price coastal communities would have to pay for the greed of a few dozen developers,” she said after the tsunami, interviewed for Deep Divide, a South Asian documentary on environmental justice that TVE Asia Pacific produced in 2005. Sri Lanka’s economic activities are concentrated in coastal areas: 80 per cent of the tourist related activities are found there, along with one third of the population. Seeking to accelerate economic growth, the Sri Lankan government took measures to develop the island’s coastal regions. Shrimp and prawn farming was encouraged, while many incentives were provided for developing tourist resorts along the island’s scenic beaches. As the shrimp exports grew and tourist arrivals increased, there was a ‘cost’ that only local residents and a few environmentalists cared about: mangrove forests were cleared, coral reefs were blasted, and the coastal environment was irreversibly changed. Shrimp farming damaged mangroves, aggravated tsunami impactCoastal zone management regulations and guidelines were openly flouted by developers. Local communities were the last to benefit from this development boom — they watched silently as their fish catch dwindled and their coastal environment was pillaged. But little did anyone realise the price coastal communities would have to pay for the greed of a few dozen developers. When the tsunami struck, there were very few natural barriers to minimise its impact. More than 40,000 people died or went missing, while hundreds of thousands lost their homes and livelihoods. It was the biggest single disaster in the island’s history. Filmed on location in India, Nepal and Sri Lanka, Deep Divide explores the reality of environmental justice in South Asia — home to 500 million people living in absolute poverty, or 40 per cent of the world’s total poor. Everywhere, it finds environmental injustice. This investigative film builds on the work by three local journalists, who act as our guides to understanding the complexities and nuances of development amidst poverty and social disparities. The origins of Deep Divide go back to 2002. Panos South Asia, a regionally operating non-profit organization analyzing development issues, awarded media fellowships to selected journalists from five South Asian countries to explore specific cases of environmental injustice in their countries. They were to investigate issues as varied as land degradation, food and water insecurity, rising pollution, and mismanaged development. Their findings were initially published in the local media – in the newspapers or magazines they worked for. 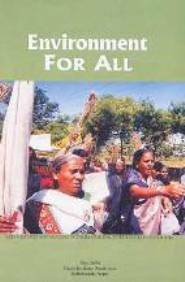 In 2004, Panos South Asia compiled the articles in a book titled Environment for All. Three stories from this book were adapted into the documentary, directed by Indian film maker Moji Riba.